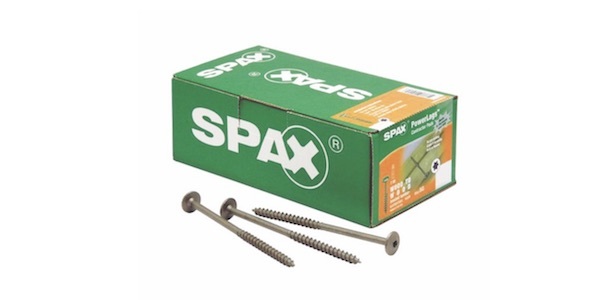 Powerlags, SPAX’s structural wood-to-wood connection fasteners feature a patented thread technology developed to allow the screw to be driven faster, be easier to install, and reduce wood splitting. The High Corrosive Resistant (HCR) coating is said to make the screws ideal for use in treated lumber and exterior applications. Powerlags require no pre-drilling and feature built-in washer head designs (T-star and hex type).